Both of my kids rocked a Baltic Amber teething necklace. Redmond wore his from about 13 months until he was over three (the only reason I took it off was because it was getting small. He got his last set of molars at 2.5, I just loved the way it looked on him). Ashlyn has been wearing hers since she was four months. Once people figure out what they're for they always ask "do they work?" Truthfully? I have no idea. But, there's no harm in trying and they look super cute. Redmond never gave us much trouble with teething, often times we wouldn't even know he was teething until we looked in his mouth and a new tooth was there! Ashlyn didn't give us any trouble either.....until the dreaded canines decided to make an appearance. She never seems to be too uncomfortable, but there has been a lot of drool and finger-gnawing going on. Plus, she was occasionally waking up in the night. Nobody wants that! 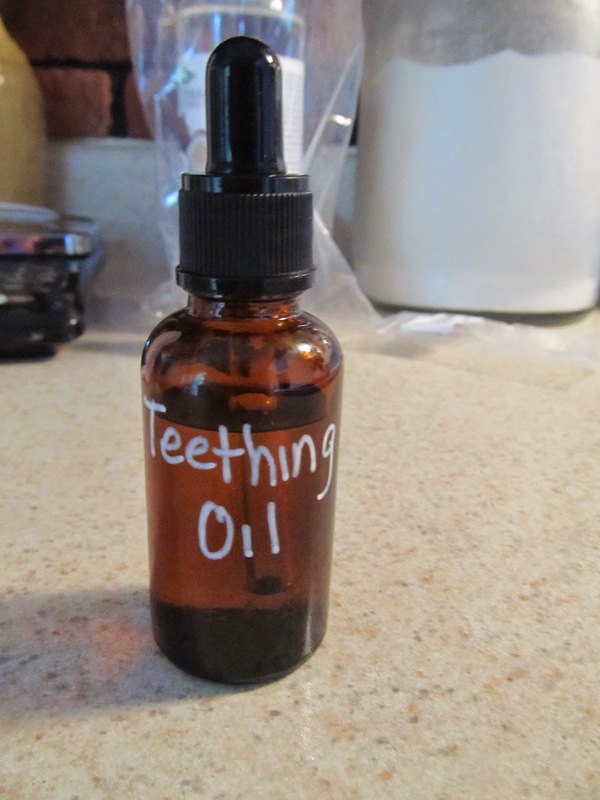 So, I decided to put my new love of essential oils to the test and make teething oil drops. They really seem to bring her relief! 1. 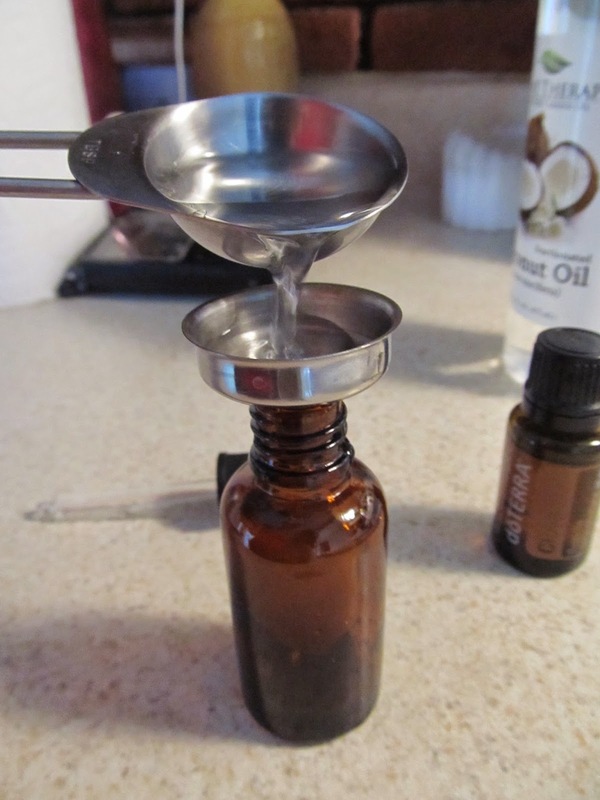 Mix the Clove and carrier oils together and store in a dark-colored glass container. I got both my bottles and funnel off of Amazon. 2. 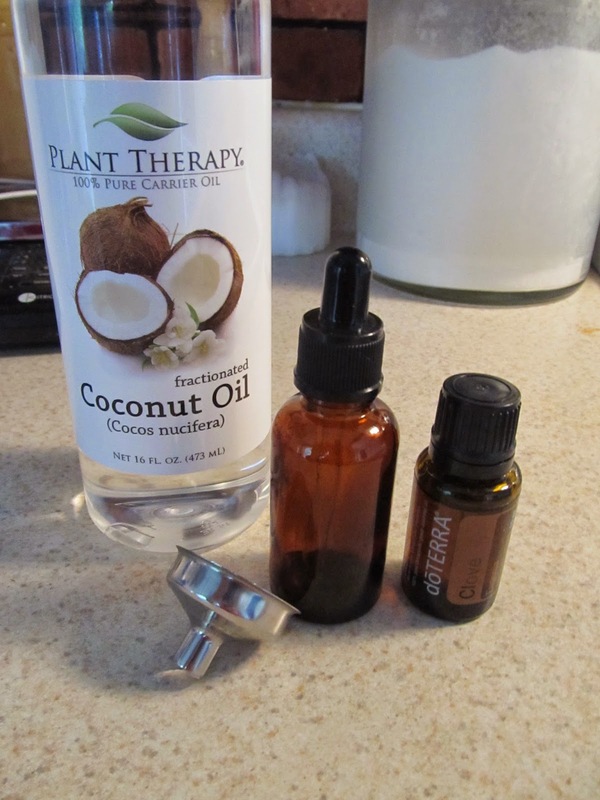 Apply a few drops to a q-tip and then rub on the achy gums. Repeat as necessary. *Always be sure that you are using 100% pure essential oil. Especially when using an oil orally.